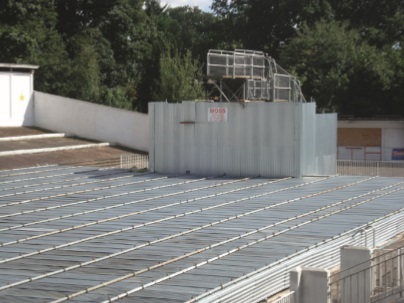 Ipswich-based Broomhill Lido is hoping for a lifeline after applying for planning permission for a multi-million-pound makeover. Broomhill opened in 1938 but has been closed since 2002. Recent reports show the £5.3m project would include the installation of heaters for the water and the restoration of diving boards. Architect Alan Wilkinson said the revamped Grade II listed site would also include a ﬁtness centre and he hoped to have a decision on the plans by December, with the aim to reopen the pool in 2020. Mr Wilkinson said: “The construction of a new-build health and wellbeing centre is necessary to generate the all-year-round income that will support and make the whole lido viable. “Our intention is to heat the pool to take the chill off so you won’t have that cold shock when you jump in,” he said. The 80-year-old site was originally heated but during World War Two the boilers were removed for the war effort, and never replaced. The Lido subsequently closed its doors 15 years ago, and in 2003 Ipswich Borough Council announced the pool would not reopen. However, a Heritage Lottery Fund grant of £180,000 has paid for specialist testing, surveys and design development for the restoration of the pool, and a second stage application has been submitted. Mr Wilkinson said he hoped a decision on the funding, as well as the plans, would be made by December so that tendering for contractors could start early next year.